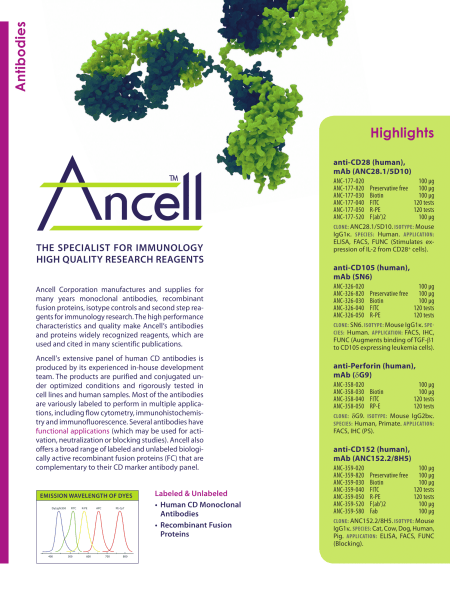 This flyer shows Ancell's extensive panel of human CD antibodies. The products are purified and conjugated under optimized conditions and rigorously tested in cell lines and human samples. Released April 2012.